In the market for a new vehicle? Luckily for you, here at Renfrew Chrysler, we have an excellent selection of Chrysler vehicles to fit any lifestyle. 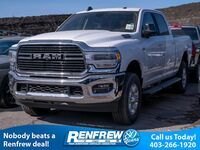 Our number one goal at Renfrew Chrysler is ensuring that our customer leaves our lot happy and satisfied with their vehicle purchase for years to come. When you are ready to make a purchase with us our fast and easy credit approval process can get you behind the wheel of your dream Chrysler as quickly as possible. Our financial team can get you set up with a financing deal that is both realistic and manageable so you can enjoy your new car without the added stresses! 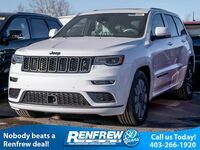 Here at Renfrew Chrysler, we have a great selection of Chrysler vehicles. Our lineup includes Chrysler sedans such as the Chrysler 200 & 300. We also have minivans such as the Chrysler Pacifica & the Pacifica Hybrid which is the only hybrid minivan in its class. We will work with you to get exactly what you are looking for in a new vehicle whether it’s all about performance or interior features. Each Chrysler automobile is packed with interior and exterior features that make driving a little more pleasure every day! We make it easy to see our entire inventory. Online you can scroll through the pages for each model and see what we have, prices and features. You can also stop by our lot to see our inventory. Once you see a Chrysler model you like, you can schedule an obligation free test drive for a day and time that works the best for you. Test drive all of them if you like and we will find you a Chrysler you absolutely LOVE! 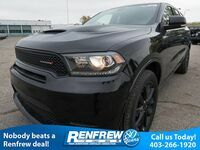 No matter what your credit and financial status may be, our credit specialists over in our Financing Center here at Renfrew Chrysler can help create a financial package that works the best for you. We make the process as easy as possible and you can get pre-approved online! Our financial experts have extensive experience working with multiple financial institutions that can help you secure financing for all credit levels. If you have any questions regarding one of our Chrysler vehicles or the credit process, feel free to contact our sales team and they can assist you with all of your needs. We look forward to getting you into the Chrysler of your Dreams!